There is absolutely no listing fee on itshandicraft.com. Sales commission is applied on per sale basis which ensures that you only pay us when you make a sale. A minimal 4% + £0.15 Payment processing fees is applied when you take a payout. With your registration you get a full featured store profile area that offers you the facility to list your products and share its link with your friends. 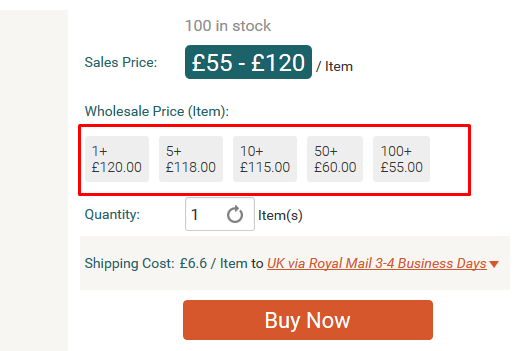 When you list an item in the UK, it gets listed in the European countries (France, Germany, Spain and Italy) and the US marketplaces automatically. There are simply no restrictions on the quantity of the items that you can sell on Itshandicraft. With Itshandicraft, you can sell new, used as well refurbished items. Itshandicraft.com offers the flexibility in pricing to the sellers, wherein they can offer discounts on their products according to the ordered quantity. Larger the order, bigger the discount (that you set). Refer the corresponding image on the left. When you opt for the Wholesale Package, you are entitled to avail of our special social media marketing through leading social networking platforms such as Facebook, Google Plus, Twitter and Pinterest. You can take in large orders and fulfill them within a certain period of time. For example, if you get an order of say 200 items and you have only 50 in stock, you can take the order make a deferred delivery of the package when the whole order is ready at a later date. If you already have a listing on Ebay or Amazon, you can easily import those listings on Itshandicraft and save time. You have the opportunity to sell through our partner websites, wherein whenever you list an item on Itshandicraft.com, it gets listed on our partner websites automatically. If you are a wholesale dealer then this segment is for you. Just costing a princely sum of £25 / month, it introduces your shop to 2000+ EU based local stores providing a wide reach for your products. Get the advantage of faster deliveries through Fulfillment by Itshandicraft (FBI). Through this feature, you can assure easy returns on the part of the buyer as he/ she can return an item to the local address without going through the hassles of returning to a different country. For example, if a seller is in Turkey and sells an item to a person in the UK and for some reason, that person wants to return that item, he /she can do so by returning it to a local address in the UK itself. We will provide you free management and consultancy to sell instantly on Google Adwords from time to time. Unlike other marketplaces we help local shops to buy in small quantities ( 20-50 items) directly from Distant Sellers keeping middle man out of picture. We participate in exhibitions all over world on your behalf to cater wholesale order (Charges applies). If you have a sales lead, we can provide you a sales executive to deal on your behalf and make sales happen . We arrange personal viewing in our UK, DE, FR, US based partner stores of your sample items to build firm confidence in buying decisions. We do photography and content writting for your items in UK based centres, it helps selling things faster and also at better prices ( cost@£20/item ). You can buy shared space at our London based warehouses and we will provide delivery service for your stored items to UK, US & EU customers regardless of your sales on eBay, Amazon, Itshandicraft or any other sales channel. What is required to create a shop on Itshandicraft? Setting up your shop on Itshandicraft is easy. First of all you need to create an Itshandicraft account. Once you are done, you need to select the currency and the location of your shop. Then you need to decide a shop name and create a listing for your product. And last but not the least; select a payment method for withdrawing the earnings for your sales and a billing method for how you would like to pay the Itshandicraft fees. What could be sold on Itshandicraft? Itshandicraft, as the name suggests is a marketplace for hand crafted articles, where artists, craftsmen and collectors can exhibit and sell their hand crafted creations. Vintage goods that are at least 20 years old can also be sold here. What is the payment method of Itshandicraft? Itshandicraft uses PayPal for its payments, wherein all the funds from sales on Itshandicraft are automatically deposited to your PayPal account. 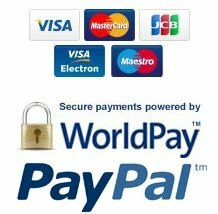 We strongly recommend the sellers on Itshandicraft to use a PayPal Business account (not a Personal account) as it has no monthly limits for receiving payments and can also receive payments from buyers who use a credit card. Is there any requirement for credit card / debit card to create a shop? No credit card / debit card is required to create a shop on Itshandicraft. For verification purposes, you may use your PayPal account or a valid credit card to register with us. No charges are incurred till you open your shop and publish a listing.